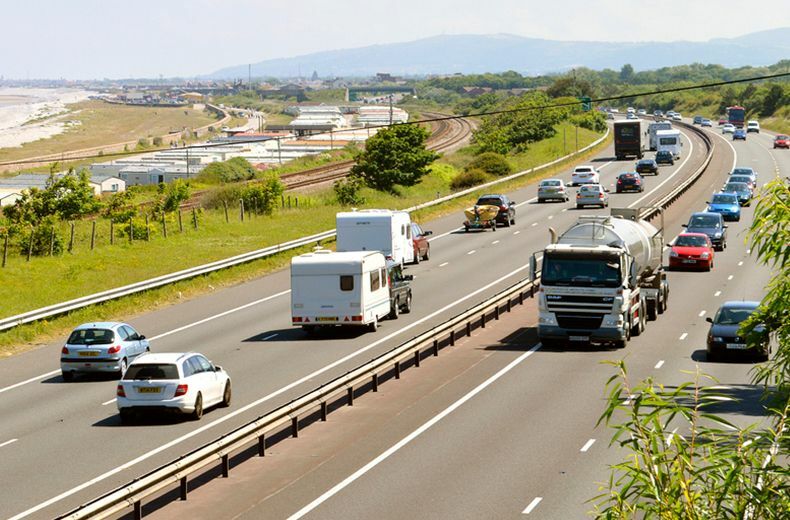 The RAC is reminding drivers heading away with their caravan this Easter to make sure they’re not leaving themselves open to fines of up to £1,000. Motorists who passed their driving test after 1997 could be liable for heavy fines, even if they unwittingly ignore the towing restrictions on their licence. According to the DVLA, since 1997 new drivers passing a car test (Category B) have been subject to tougher towing restrictions as they are no longer granted a car plus trailer entitlement (Category BE). This means they can tow a laden trailer over 750kg, as long as the combined maximum authorised mass (MAM) of the trailer and towing vehicle is no more than 3,500kg. The maximum authorised mass (MAM) is the weight of a vehicle or trailer including the maximum load that can be carried safely when it’s being used on the road. Think of it as laden weight. Those wishing to drive a heavier car plus caravan combination, would need to pass an additional car plus trailer test (Category BE). 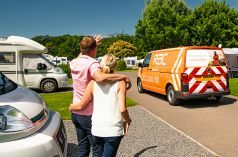 RAC Arrival offers the best in market breakdown cover in UK and Europe† for caravans, motorhomes and trailers. Rod Dennis, RAC spokesperson, reminded motorists they face different restrictions on what they are legally allowed to tow depending on the categories shown on their licence. He added: "Pre-1997 licences, for instance, permit motorists to drive minibuses and tow heavier trailers. If you’re planning on towing a caravan or heavy trailer, it’s essential you check your car’s maximum towing capacity and your licence categories before setting off. Tow bars must be ‘type approved’. This means it meets EU regulations and is designed for your car. This doesn’t apply to cars first used before 1 August 1998. Give yourself more time and space for everything, especially taking corners. Road safety group TyreSafe encourages caravan owners to check their vehicle's tyres before setting out on a trip. Never carry passengers in the caravan when you’re towing it. Your number plate must show your car’s registration number, conform to the relevant British Standard and be illuminated at night. Your rear light panel must always be working and visible so check before driving off and keep an eye out for any changes during your journey. Any trailer weighing over 750 kilograms, including its load, must have a working brake system. If your trailer is unbraked, the maximum you may tow is 750 kg or half the kerbside weight of the towing vehicle – whichever is the lower. You should also make sure you have the correct cover for you and your vehicle by checking out our caravan and motorhome breakdown cover, Arrival, in association with the Camping and Caravanning Club.